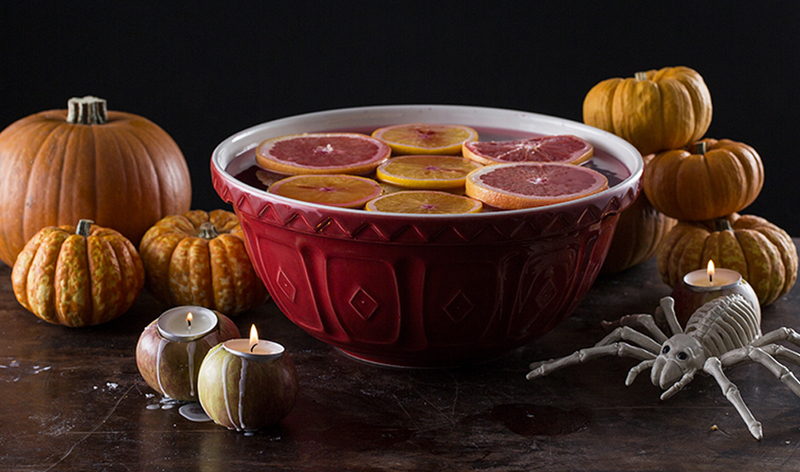 Perfect for monsters of any size, this punch is perfect for an alcohol free Halloween party. Simply combine the Cranberry Juice and Orange Juice in a large Mason Cash Mixing Bowl and refrigerate. When you’re ready to serve add the lemonade and the orange slices for garnish.